Welcome to Peru. On this page you will find information about the facts & figures, commodities and interesting tips and analyses for this country. Interested in making a deal? Please contact the business advisor below. She can help you out by bringing you a step closer to doing business in this country. 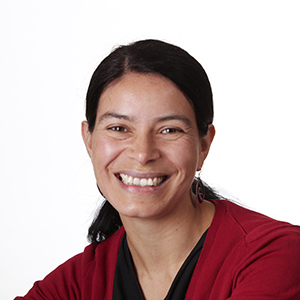 Ninoska González Herrera (Talca, Chile) has worked for Agriterra since 2007. She studied Agronomy at the University of Talca (Chile), where she specialised in agro business. After more studies in Göttingen and Wageningen, she worked for the Instituto de Desarrollo Agropecuario in Talca, and Agriterra. Agriterra is the initiator of the ‘Small Farmers, Big Deal’ campaign. Their aim is to professionalise cooperatives and farmers’ organisations in developing countries. This offers positive prospects for the farmers themselves, which will allow them to become increasingly better partners for the agri and food business that seek cooperation.